The UFC has confirmed that Scotland’s Joanne Calderwood will face a new opponent for their promotional debut in Glasgow on July 18th. Originally set to face Australian Bec Rawlings (6-4), she was forced to withdraw from the card due to an undisclosed injury. Stepping in to replace her on eight days notice is new comer Cortney ‘Cast Iron’ Casey (4-1) making her UFC debut. Casey was last seen picking up a controversial referee stoppage win over UK’s Helen Harper on promotion PXC 47 [watch from 1 hr 25 mins] back in March earlier this year. The hard-hitting american has not gone past the first round. 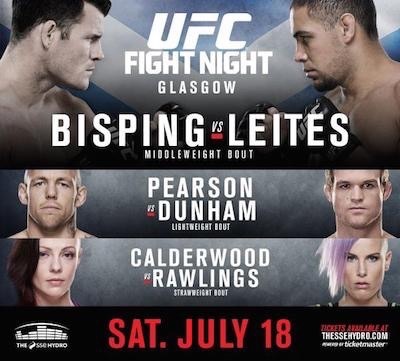 UFC Scotland takes place on July 18th in Glasgow which is headlined by Michael Bisping vs. Thales Leite.